Opponents of the Trump administration have generally accepted as fact the common theme across mainstream media that aides to Donald Trump were involved in some kind of illicit communications with the Russian government that has compromised the independence of the administration from Russian influence. In fact, the intelligence community had not even obtained evidence that Russia was behind the publication by Wikileaks of the e-mails Democratic National Committee, much less that it had done so with the intention of electing Trump. Clapper had testified before Congress in mid-November and again in December that the intelligence community did not know who had provided the e-mails to WikiLeaks and when they were provided. The claim – by Brennan with the support of Comey – that Russia had “aspired” to help Trump’s election prospects was not a normal intelligence community assessment but an extraordinary exercise of power by Brennan, Comey and NSA Director Mike Rogers. 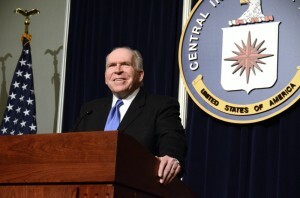 Brennan and his allies were not merely providing a professional assessment of the election, as was revealed by their embrace of the the dubious dossier compiled by a private intelligence firm hired by one of Trump’s Republican opponents and later by the Clinton campaign for the specific purpose of finding evidence of illicit links between Trump and the Putin regime. When the three intelligence agencies gave the classified version of their report to senior administration officials in January they appended a two-page summary of the juiciest bits from that dossier – including claims that Russian intelligence had compromising information about Trump’s personal behavior while visiting Russia. The dossier was sent, along with the assessment that Russia was seeking to help Trump get elected, to senior administration officials as well as selected Congressional leaders. 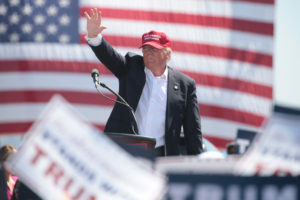 Among the claims in the private intelligence dossier that was summarized for policymakers was the allegation of a deal between the Trump campaign and the Putin government involving full Trump knowledge of the Russian election help and a Trump pledge – months before the election – to sideline the Ukraine issue once in office. The allegation – devoid of any verifiable information – came entirely from an unidentified “Russian emigre” claiming to be a Trump insider, without any evidence provided of the source’s actual relationship to the Trump camp or of his credibility as a source. By that time, U.S. intelligence agencies had been in possession of the material in the dossier for several months. It was their job to verify the information before bringing it to the attention of policymakers. A former U.S. intelligence official with decades of experience dealing with the CIA as well other intelligence agencies, who insisted on anonymity because he still has dealings with U.S. government agencies, told this writer that he had never heard of the intelligence agencies making public unverified information on a U.S. citizen. “The CIA has never played such a open political role,” he said. The CIA has often tilted its intelligence assessment related to a potential adversary in the direction desired by the White House or the Pentagon and the Joint Chiefs of Staff, but this is the first time that such a slanted report impinges not only on domestic politics but is directed at the President himself. The egregious triple abuse of the power in publishing a highly partisan opinion on Russia and Trump’s election, appending raw and unverified private allegations impugning Trump’s loyalty and then leaking that fact to the media begs the question of motive. Brennan, who initiated the whole effort, was clearly determined to warn Trump not to reverse the policy toward Russia to which the CIA and other national security organizations were firmly committed. As Trump’s National Security Adviser, Michael Flynn presented an easy target for a campaign to portray the Trump team as being in Putin’s pocket. He had already drawn heavy criticism not only by attending a Moscow event celebrating the Russian television RT in 2016 but sitting next to Putin and accepting a fee for speaking at the event. 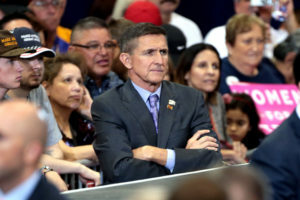 More importantly, however, Flynn had argued that the United States and Russia could and should cooperate in their common interest of defeating Islamic State militants. That idea was anathema to the Pentagon and the CIA. Obama’s Defense Secretary Ashton Carter had attacked Secretary of State John Kerry’s negotiating a Syrian ceasefire that included a provision for coordination of efforts against Islamic State. The official investigation of the U.S. attack on Syrian forces on Sept. 17 turned up evidence that CENTCOM had deliberately targeted the Syrian military sites with the intention of sabotaging the ceasefire agreement. The implications of the coy revelation of the Flynn conversation with Kislyak were far-reaching. Any interception of a communication by the NSA or the FBI has always been considered one of the most highly classified secrets in the U.S. intelligence universe of secrets. And officers have long been under orders to protect the name of any American involved in any such intercepted communication at all costs. But the senior official who leaked the story of Flynn-Kislyak conversation to Ignatius – obviously for a domestic political purpose – did not feel bound by any such rule. That leak was the first move in a concerted campaign of using such leaks to suggest that Flynn had discussed the Obama administration’s sanctions with Kislyak in an effort to undermine Obama administration policy. Two weeks later, however, the Post reversed its coverage of the issue, publishing a story citing “nine current and former officials, who were in senior positions at multiple agencies at the time of the calls,” as saying that Flynn had “discussed sanctions” with Kislyak. The Post did not refer to its own previous reporting of the FBI’s unambiguous view contradicting that claim, which suggested strongly that the FBI was trying to head off a plan by Brennan and Clapper to target Flynn. But it did include a crucial caveat on the phrase “discussed sanctions” that few readers would have noticed. It revealed that the phrase was actually an “interpretation” of the language that Flynn had used. In other words, what Flynn actually said was not necessarily a literal reference to sanctions at all. Only a few days later, the Post reported a new development: Flynn had been interviewed by the FBI on Jan. 24 – four days after Trump’s inauguration – and had denied that he discussed sanctions in the conversation. But prosecutors were not planning to charge Flynn with lying, according to several officials, in part because they believed he would be able to “parse the definition of the word ‘sanctions’.” That implied that the exchange was actually focused not on sanctions per se but on the expulsion of the Russian diplomats. Just hours before his resignation on Feb. 13, Flynn claimed in an interview with the Daily Caller that he had indeed referred only to the expulsion of the Russian diplomats. Even as the story of the Flynn’s alleged transgression in the conversation with the Russian Ambassador was becoming a political crisis for Donald Trump, yet another leaked story surfaced that appeared to reveal a shocking new level of the Trump administration’s weakness toward Russia. The Post reported on Feb. 13 that Acting Attorney General Sally Yates, an Obama holdover, had decided in late January – after discussions with Brennan, Clapper and FBI Director James Comey in the last days of the Obama administration – to inform the White House Counsel Donald McGahn in late January that Flynn had lied to other Trump administration officials – including Vice President Mike Pence – in denying that he discussed sanctions with Kislyak. The Post cited “current and former officials” as the sources. That story, repeated and amplified by many other news media, led to Flynn’s downfall later that same day. But like all of the other related leaks, the story revealed more about the aims of the leakers than about links between Trump’s team and Russia. The centerpiece of the new leak was that the former Obama administration officials named in the story had feared that “Flynn put himself in a compromising position” in regard to his account of the conversation with Kislyak to Trump members of the Trump transition. Yates had told the White House that Flynn might be vulnerable to Russian blackmail because of the discrepancies between his conversation with the Ambassador and his story to Pence, according to the Post story. But once again the impression created by the leak was very different from the reality behind it. The idea that Flynn had exposed himself to a potential Russian blackmail threat by failing to tell Pence exactly what had transpired in the conversation was fanciful in the extreme. Even assuming that Flynn had flatly lied to Pence about what he had said in the meeting – which was evidently not the case – it would not have given the Russians something to hold over Flynn, first because it was already revealed publicly and second, because the Russian interest was to cooperate with the new administration. The ex-Obama administration leakers were obviously citing that clumsy (and preposterous) argument as an excuse to intervene in the internal affairs of the new administration. The Post’s sources also claimed that “Pence had a right to know that he had been misled….” True or not, it was, of course, none of their business. The professed concern of the Intelligence Community and Justice Department officials that Pence deserved the full story from Flynn was obviously based on political considerations, not some legal principle. 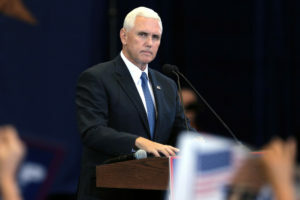 Pence was a known supporter of the New Cold War with Russia, so the tender concern for Pence not being treated nicely coincided with a strategy of dividing the new administration along the lines of policy toward Russia. All indications are that Trump and other insiders knew from the beginning exactly what Flynn had actually said in the conversation, but that Flynn had given Pence a flat denial about discussing sanctions without further details. On Feb. 13, when Trump was still trying to save Flynn, the National Security Adviser apologized to Pence for “inadvertently” having failed to give him a complete account, including his reference to the expulsion of the Russian diplomats. But that was not enough to save Flynn’s job. The divide-and-conquer strategy, which led to Flynn’s ouster, was made effective because the leakers had already created a political atmosphere of great suspicion about Flynn and the Trump White House as having had illicit dealings with the Russians. The normally pugnacious Trump chose not to respond to the campaign of leaks with a detailed, concerted defense. Instead, he sacrificed Flynn before the end of the very day the Flynn “blackmail” story was published. But Trump’s appears to have underestimated the ambitions of the leakers. The campaign against Flynn had been calculated in part to weaken the Trump administration and ensure that the new administration would not dare to reverse the hardline policy of constant pressure on Putin’s Russia. No sooner had Flynn’s firing been announced than the next phase of the campaign of leaks over Trump and Russia began. On Feb. 14, CNN and the New York Times published slight variants of the same apparently scandalous story of numerous contacts between multiple members of the Trump camp with the Russian at the very time the Russians were allegedly acting to influence the election. But the attentive reader would soon discover that the stories did not reflect those headlines. In the very first paragraph of the CNN story, those “senior Russian officials” became “Russians known to U.S. intelligence,” meaning that it included a wide range Russians who are not officials at all but known or suspected intelligence operatives in business and other sectors of society monitored by U.S. intelligence. A Trump associate dealing with such individuals would have no idea, of course, that they are working for Russian intelligence. The Times story, on the other hand, referred to the Russians with whom Trump aides were said to be in contact last year as “senior Russian intelligence officials,” apparently glossing over a crucial distinction that sources had had made to CNN between intelligence officials and Russians being monitored by U.S. intelligence. Even more important, however, the Times story made it clear that the intelligence community was seeking evidence that Trump’s aides or associates were colluding with the Russians on the alleged Russian effort to influence the election, but that it had found no evidence of any such collusion. CNN failed to report that crucial element of the story. The headlines and lead paragraphs of both stories, therefore, should have conveyed the real story: that the intelligence community had sought evidence of collusion by Trump aides with Russia but had not found it several months after reviewing the intercepted conversations and other intelligence. 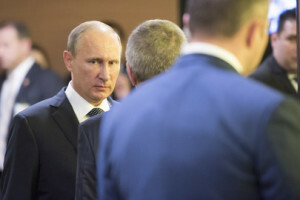 Unwitting Allies of the War Complex? Former CIA Director Brennan and other former Obama administration intelligence officials have used their power to lead a large part of the public to believe that Trump had conducted suspicious contacts with Russian officials without having the slightest evidence to support the contention that such contacts represent a serious threat to the integrity of the U.S. political process. Many people who oppose Trump for other valid reasons have seized on the shaky Russian accusations because they represent the best possibility for ousting Trump from power. But ignoring the motives and the dishonesty behind the campaign of leaks has far-reaching political implications. Not only does it help to establish a precedent for U.S. intelligence agencies to intervene in domestic politics, as happens in authoritarian regimes all over the world, it also strengthens the hand of the military and intelligence bureaucracies who are determined to maintain the New Cold War with Russia. Those war bureaucracies view the conflict with Russia as key to the continuation of higher levels of military spending and the more aggressive NATO policy in Europe that has already generated a gusher of arms sales that benefits the Pentagon and its self-dealing officials. 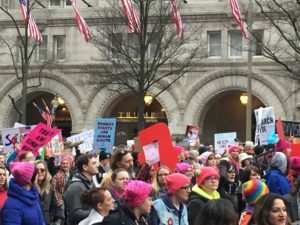 Progressives in the anti-Trump movement are in danger of becoming an unwitting ally of those military and intelligence bureaucracies despite the fundamental conflict between their economic and political interests and the desires of people who care about peace, social justice and the environment.